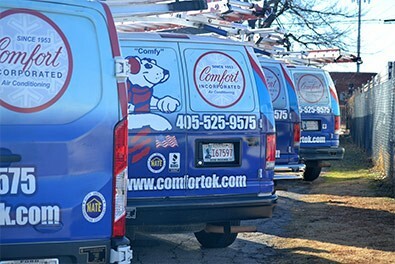 In 1953, Comfort Incorporated began as the service and installation division of Comfort Distributing. 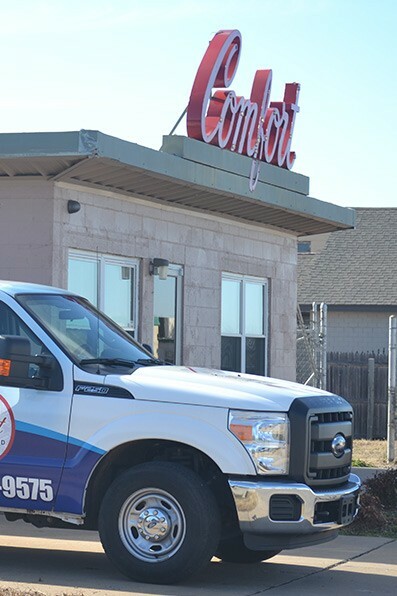 We took part in some of the most respected projects of that time period—department stores, schools, universities, and manufacturing facilities—all of which were able to enjoy refrigerated air conditioning thanks to the pros at Comfort Incorporated. Today, we are proud to offer comprehensive service, sales, and consulting for both residential and commercial heating, air conditioning, energy management, indoor air quality, and home performance projects. Our NATE-certified technicians strive to offer the best in services and home improvements to homes and businesses throughout central Oklahoma. We have evolved as a leader in the industry, providing everything from custom sheet metal fabrications to advanced diagnostic services. Reach out to us today to learn more. 10% Off for Seniors, Military, Fire, Police & Teachers! 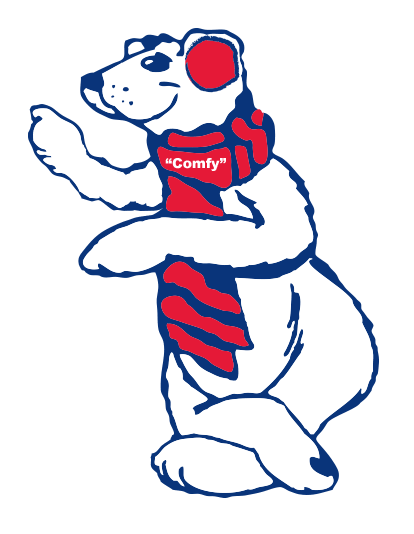 Meet Comfy, our toasty warm mascot! What Makes Comfort Incorporated Unique? There are a number of services and qualities that set our professionals apart from the rest. We offer upfront pricing, free estimates and second opinions on system repairs and replacement, and superior competency so that you can rely on a job done right the first time. Our certifications and licensing include being NATE certified, as well as certified in air testing and balancing, carbon monoxide venting, and an EPA certification in working with refrigerant. We are always there to assist, and we keep your family safe, healthy and comfortable. Our length of continual service—over 60 years—and a 100% satisfaction guarantee on our product installations are what makes us leaders and innovators in the industry. We have every confidence that you can trust our service professionals and our company as a whole. The service professionals on our staff live in the communities that we serve. This means we put a large amount of value on how we treat our clients—the same way we would want to be treated. We’re also proud to provide same–day service and repair in addition to fairly priced service that enables you to control the outcome. We want to ensure that your entire home is running effectively and efficiently—not just your HVAC system. For this reason we offer comprehensive home performance inspections, which includes blower door testing to locate areas of energy and air loss within your Oklahoma City, OK home, infrared camera inspections to pinpoint hard–to–find air leaks, and under slab air duct inspections. We look forward to speaking with you more about this unique service. Give us a call today!